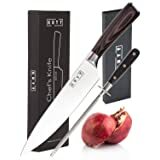 Kai professional 6-inch Utility knife for multiple purposes around the kitchen. 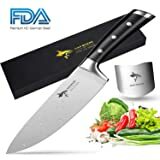 Made from imported Japanese AUS6M steel, hand-sharpened 16° double-bevel blade (32° comprehensive). 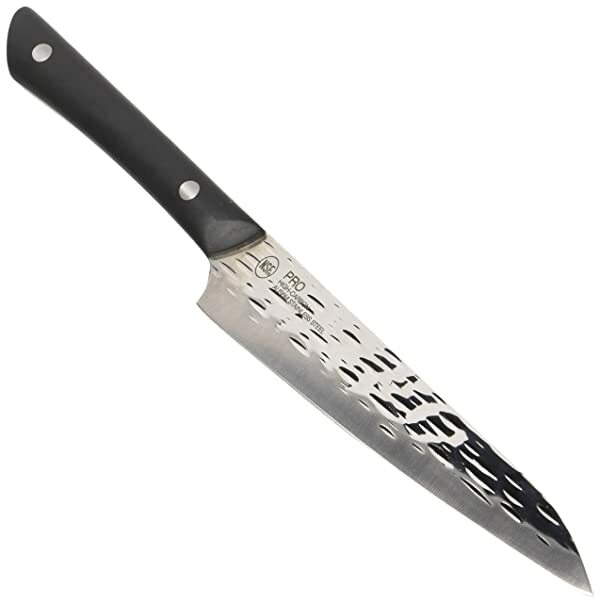 Hammered finish, while beautiful, is designed to reduce knife drag and aid with food release. 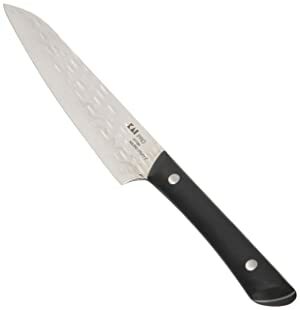 Riveted pom handle, full-tang construction for strength and durability. NSF certified for professional kitchen use; Limited Lifetime warranty; hand wash only. 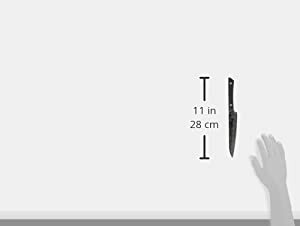 Designed for most kitchen tasks in a smaller, compact design, the Kai Pro 6-inch Utility Knife is one knife that will get used again and again around the kitchen. Get professional performance at home with Kai PRO. 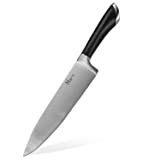 Kai Pro is NSF-certified for use in professional kitchens, providing home cook’s the razor-sharp edge, comfortable grip, and precision handling you’d expect within the rigors of commercial use. Kai PRO blades are made of Japanese AUS6M stainless steel, hand sharpened and finished to a 16° cutting edge on each side. The high-carbon steel offers incredible edge retention as well as corrosion resistance. 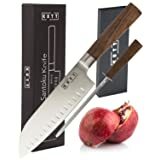 Kai PRO knives are easily re-sharpened when needed. 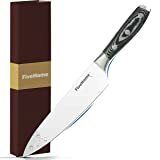 Each knife boasts a striking, hammered blade finish that is not only beautiful, but helps reduce drag and releases food from the blade quickly and easily. 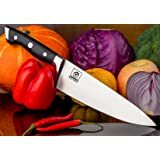 Each knife features full-tang construction and a riveted POM handle. Your Kai PRO cutlery will provide a lifetime of pro-level performance. Hand wash only; limited lifetime warranty.